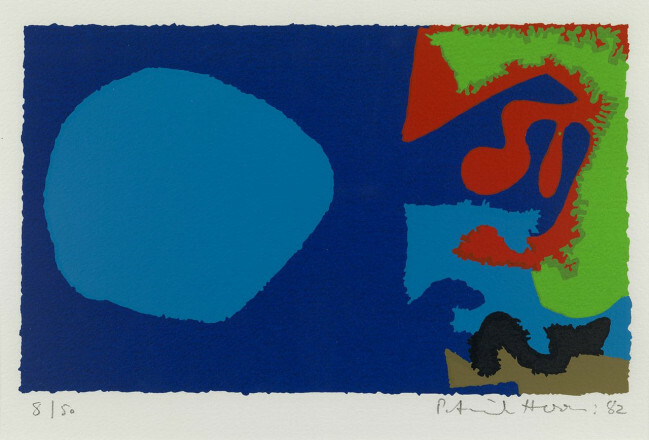 OCTOBER 5 : 1982 1982 Patrick Heron (1920 – 1999)	P4255 © The Estate of Patrick Heron. All rights reserved, DACS 2015. 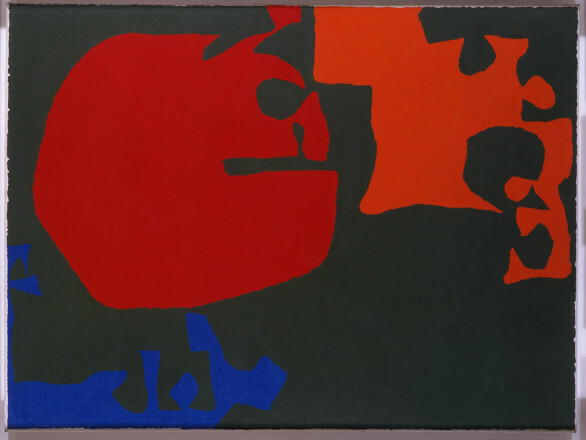 VERSION OF T S ELIOT : 1949 1949 Patrick Heron (1920 – 1999)	P3031 © The Estate of Patrick Heron. All rights reserved, DACS 2015. 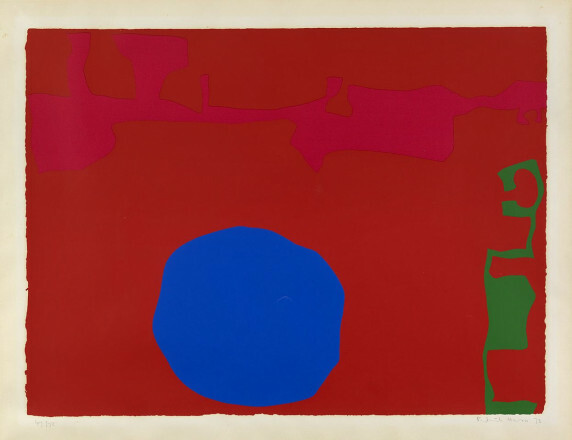 TWO PINK DISCS IN DARK REDS : April 1970 1971 Patrick Heron (1920 – 1999)	P1511 © The Estate of Patrick Heron. All rights reserved, DACS 2015. 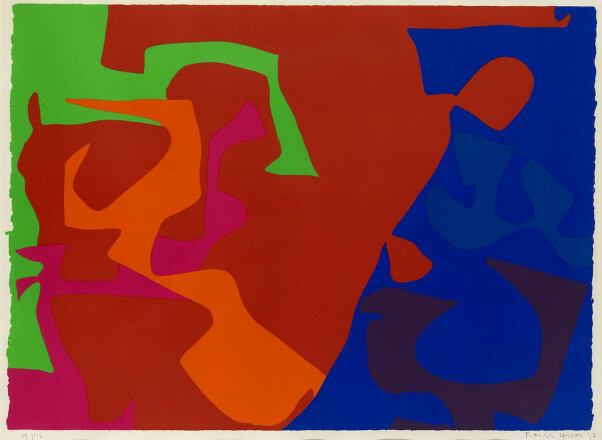 JANUARY 1973 : 13 1973 Patrick Heron (1920 – 1999)	P4415 © The Estate of Patrick Heron. All rights reserved, DACS 2015. 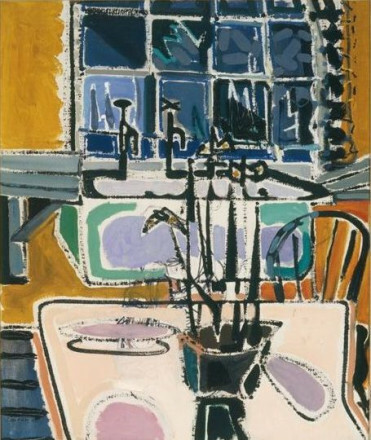 KITCHEN AT NIGHT : 1950 1950 Patrick Heron (1920 – 1999)	P171 © The Estate of Patrick Heron. All rights reserved, DACS 2015. 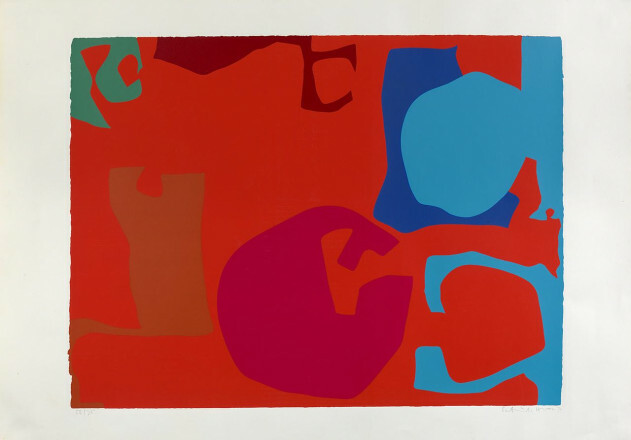 UNTITLED : 1971 1971 Patrick Heron (1920 – 1999)	P1505 © The Estate of Patrick Heron. All rights reserved, DACS 2015. 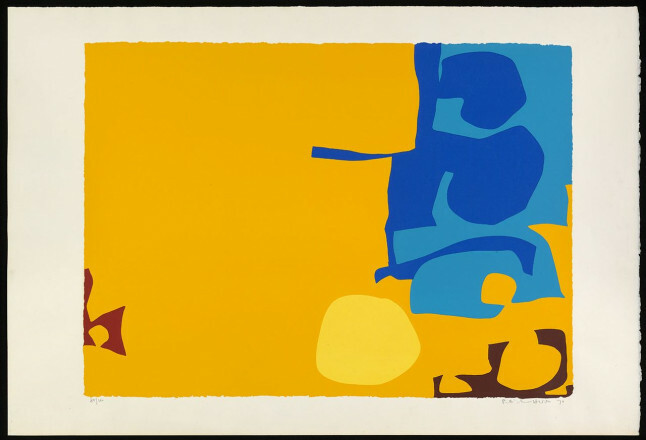 BLUES DOVETAILED IN YELLOW : April 1970 1970 Patrick Heron (1920 – 1999)	P1513 © The Estate of Patrick Heron. All rights reserved, DACS 2015. 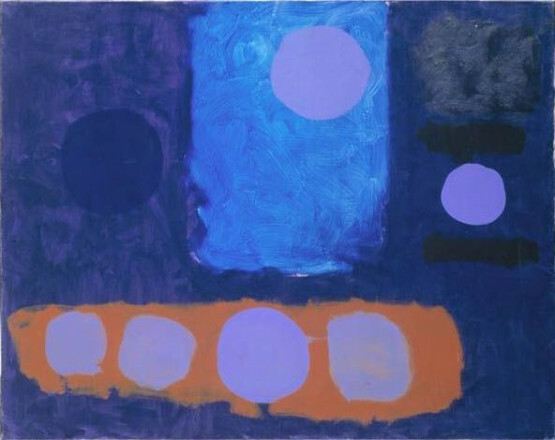 BLUE PAINTING WITH DISCS: SEPTEMBER 1962 1962 Patrick Heron (1920 – 1999)	P820 © The Estate of Patrick Heron. All rights reserved, DACS 2015. 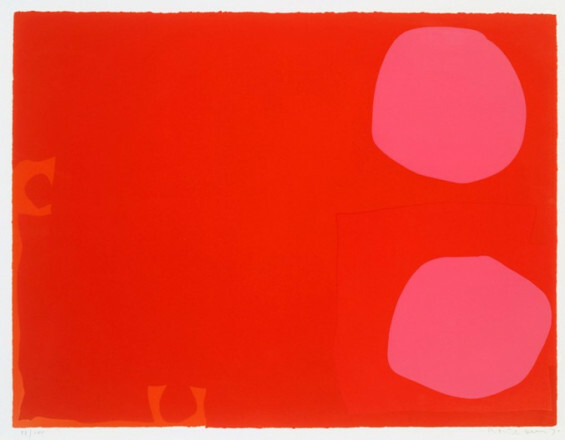 Patrick Heron was born in Leeds and studied part time at the Slade School of Fine Art in London. Heron began to paint completely abstract works in the mid 1950s coinciding, more or less, with his permanent move from London to Cornwall and the first exhibition in Britain of American Expressionist painting shown at the Tate Gallery, London in 1956. 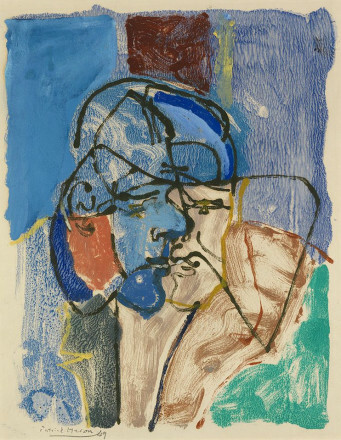 Until then his work had been of interiors, figures and views through his studio window, inspired by Braque’s use of space an from but using a much brighter palette more in keeping with the interiors of Matisse.